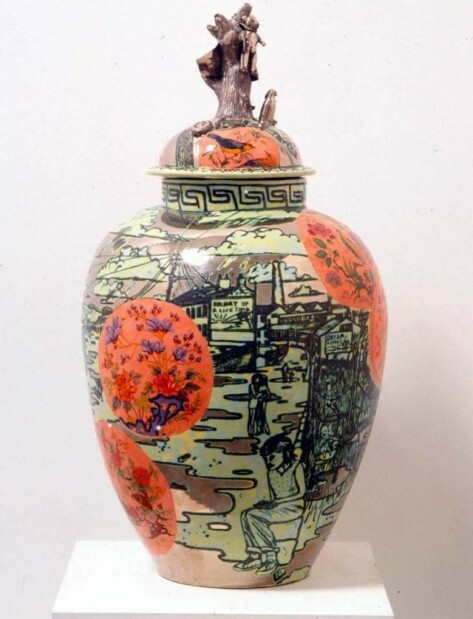 Artists should make beautiful things says Grayson Perry a British artist that won 2003’s Turner prize(Transvestite potter) and is mostly known for his bright colored ceramic vases and cross-dressing. Grayson Perry recently gave an interview for YOOX where he explains that a good artist is the one that makes really attractive stuff. He recently created a project of six tapestries for for Victoria Miro Gallery, London that focus in the emotional world of things we reach daily like eating, drinking or even things we wear. A limited edition of this project(The Vanity of Small Differences) made for placemats can be purchased online at Yoox.